Evening Light, a photo by Andrea Pokrzywinski on Flickr. 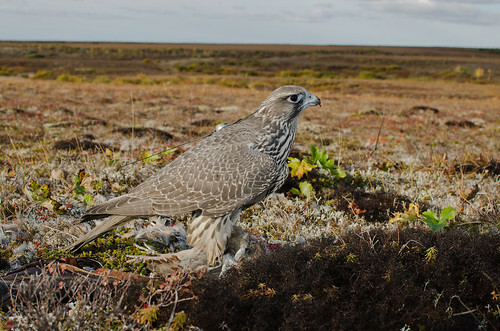 The baby Gyr is growing up and eating her evening meals in the tundra. The evening light adds an interesting effect in contrast to the colors in the tundra.